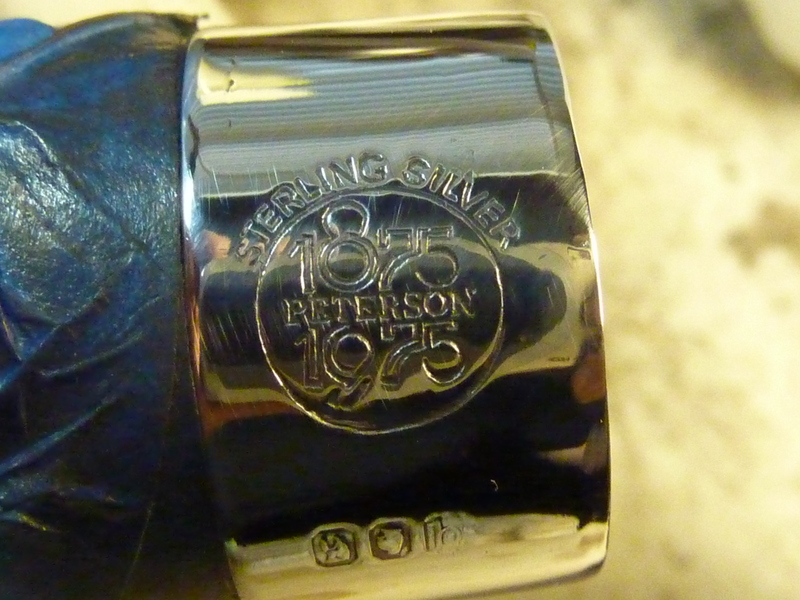 On my first visit to the Peterson factory in 2009, I fell into a conversation about the stand-out pipes in Peterson’s long history with then-factory manager Tony Whelan, Sr. and silversmith David Blake, since retired. They began a back-and-forth litany of the pipes they felt were truly important in the time they’d been working there. Their list began with the 1975 Centenary pipes. 1975 was an incredible year for Peterson, a high-water mark not seen since the 1910s: pipe sales were going through the roof, the company had a new factory out in what was then the countryside of Dún Laoghaire (the workers played football in the field behind it for many years), and they were celebrating what they thought of as their 100th anniversary. the bent shapes featured a System reservoir. 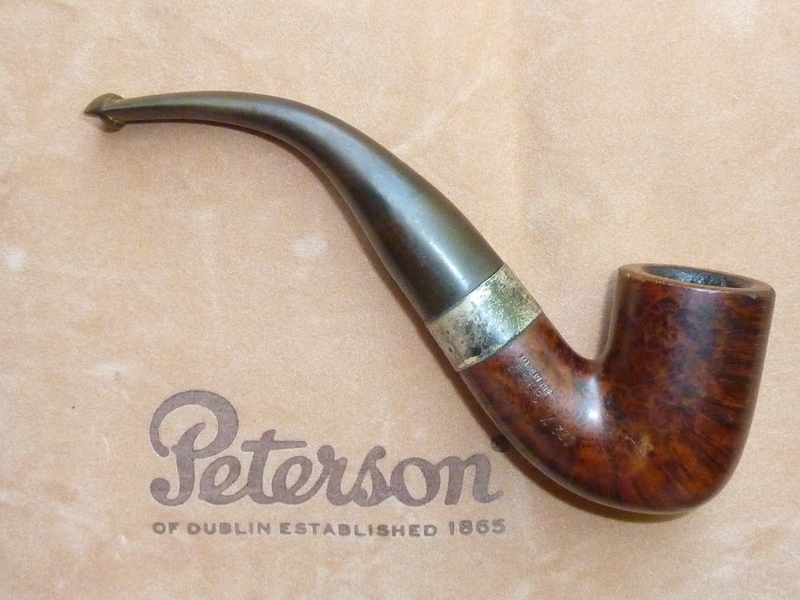 So when I saw this old Centenary on eBay, of course – it being my favorite Peterson shape – I jumped at it. And I’m glad I did, although it presents an anomaly to the Centenary story that I don’t have an answer for, as yet: there’s no serial stamp! Instead, on the bottom of the shank at the mortise there is a small “X166.” I checked the bowl over, comparing it against the photos we’ve accumulated and the other example I have in my rotation, and it’s the same grade, same stain, but no limited edition number. The 339 and slightly larger XL339 shape with the “B” stem is something of a throwback to the earliest days of briar pipe-making: the huge tapered stem gives it an elephantine appearance that I can imagine might be off-putting to many. It has a Victorian or Edwardian air about it that suggests it would have been at home in the pocket of Holmes or Watson. The XL339 shape derives from Charles Peterson’s original 4, which later became the 4S DeLuxe System, 309 Standard System, and 339 Classic Range. With the tapered stem, I’d say it falls in the category of “seldom-seen” shapes, although not nearly as rare as the 4B (its DeLuxe System equivalent). 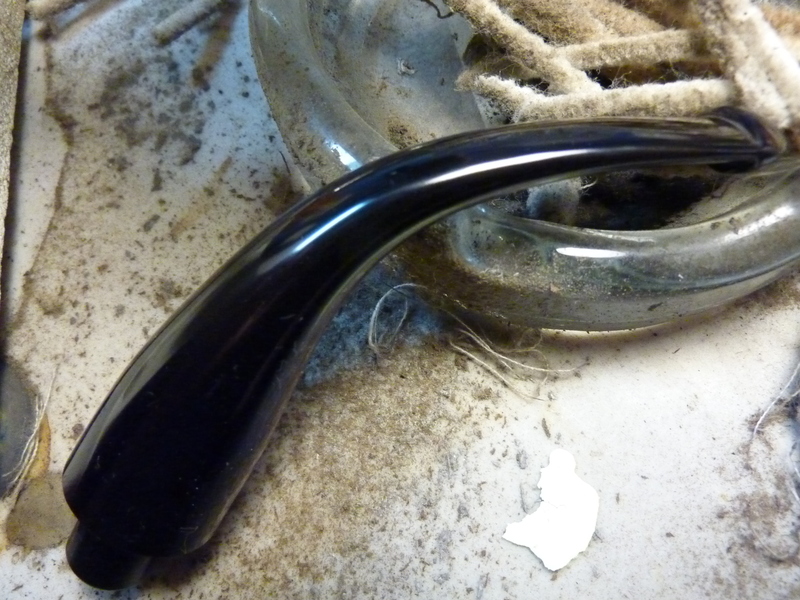 The pipe was in the kind of condition I love in an estate: dirty, but well-beloved, with some heavy stem oxidation, mild dental marks, band tarnish and a few scratches on the bowl. The previous owner wasn’t part of my generation of pipemen, as evidenced by the rim dents where it had been emptied against hard surfaces. I assume he was left-handed, because the front dents at both front and back are on the right-hand side where an upside-down strike would hit. He smoked natural tobaccos, or tobaccos with very little top-dressing, as the chamber has simply that old light musty smell of a pipe smoked long ago. He didn’t seem to fill the bowl to the top, and judging by the cake he only smoked about half the bowl before setting it aside—there is a distinct heavy ring of cake going not quite half-way down. So the first thing I needed to decide was whether to add a bevel to the outside of the rim, top the bowl, or simply leave the dings. I so admire the work I’ve seen from Steve at Rebornpipes, Tim at PipesRevival, and Charles at DadsPipes, and I imagine they might go for the topping or beveling. I didn’t really want to shorten the bowl, even by a few millimeters, nor did I want to add an external bevel, because it already has a large inner one, and while it might be interesting to look it, it seemed foreign to Charles Peterson’s original Dutch Bent aesthetic. In the end, I decided to go for a preservation, rather than restoration, aesthetic. I haven’t heard many of my DIY heroes talk about this, but I know Tim at PipesRevival tries to hold on to nomenclature and even restore it when he can. The steps for a job like this are pretty routine, although there are one or two peculiarities that might be of interest, given the fact it’s a Pete. 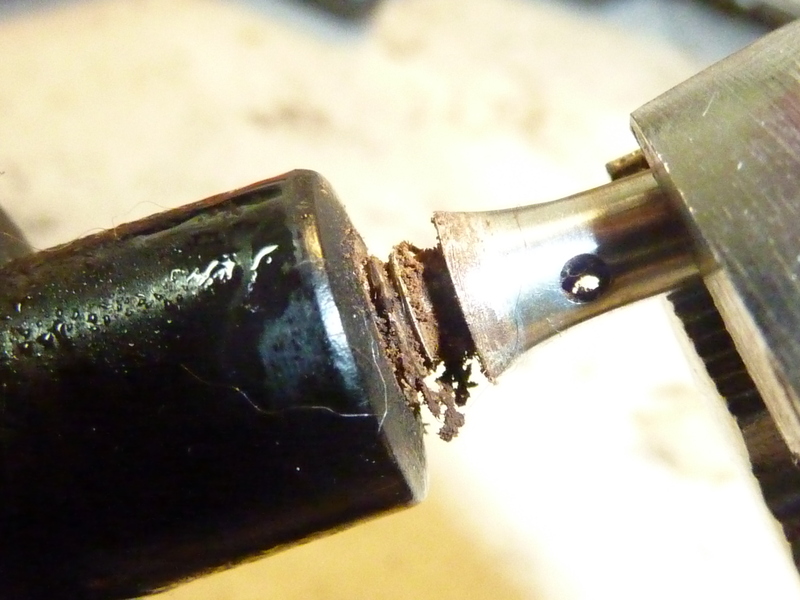 The first problem Peterson Deluxe P-Lips & DeLuxe Systems sometimes encounter is removing the tenon, which is often get fused into the draft hole. In the old days when these extensions were made of bone instead of aluminum, they’d fuse to the stem and often crack or disintegrate if you tried to remove them. I tried was soaking it in alcohol. The soak didn’t work, and neither did pliers wrapped in t-shirting or metal-against-metal, so I put it in the freezer for an hour to see if the aluminum would contract. That did the trick, but only with the pliers gripping directly on the tenon extension. This caused a few scratches, which were mostly erased with the application of some tripoli on the buffing wheel. It removed the original gold tone, but as you can see, also removed most of the grip-marks. You may be wondering why go to all the trouble of removing the extension. Good question. The answer is that there can sometimes be a constriction of airflow with the gradual buildup of tars and pipe-cleaner debris. A properly-performing DeLuxe P-Lip mouthpiece (meaning it has the aluminum or bone tenon extension threaded onto it) is a wondrous thing, delivering just the right dryness / coolness to your smoking. Ironically, once I got the tenon out, cleaned, and reinstalled, I found out why it had never been removed: this is a much thinner extension than is customary on the DeLuxe stems, and it is perfectly drilled. Where the normal tenon extension will often hang up a pipe-cleaner, meaning you have to remove it to get a pipe cleaner through, this one didn’t. It passed the dreaded “pipe-cleaner test.” No need for all that bother, after all. Like I said earlier, this is something I’ve never seen before in a Peterson DeLuxe. While I was waiting for the mouthpiece to cool off in the freezer, I reamed out the bowl with the two smallest heads on my PipNet. The cake was light and easily removed, revealing good wood beneath with no pits or evidence of heat fissure scarring. Next I placed the mouthpiece in a Soft Scrub (no bleach variety) marinade to soak awhile. This is an idea I learned at PipesRevival, and I sometimes have good luck with it, although I normally have use an Oxy Clean soak followed by Micromesh pads. 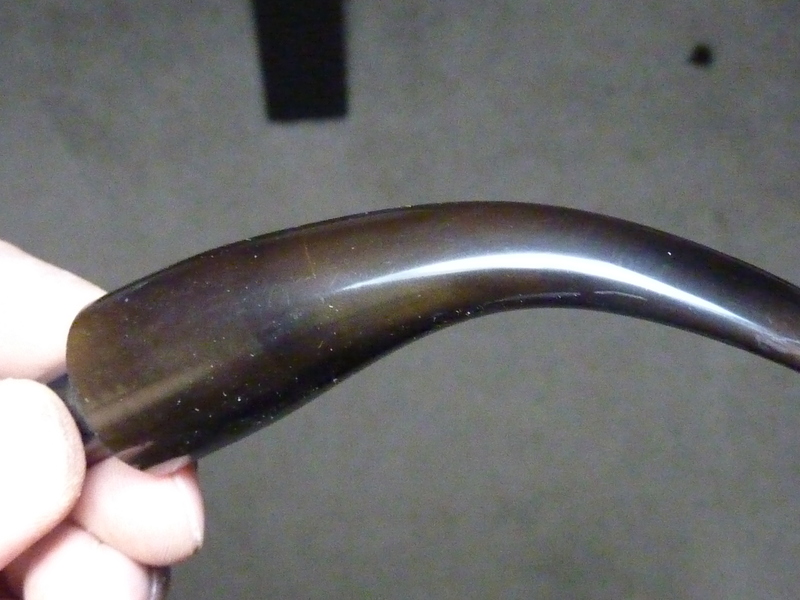 One thing I strive for when I’m restoring my own pipes: a stem that’s obsidian under the Ott Lite, with no brown under-haze. If Soft Scrub and the buffing wheel’s application of tripoli and white diamond don’t do it, I’ll have to revert to Oxy Clean, or even the old bleach-soak followed by Micromesh pads. As experienced DIYers know, you’ve got to get the oxidized vulcanite to a glorious gunmetal color if it’s going to buff up to obsidian. 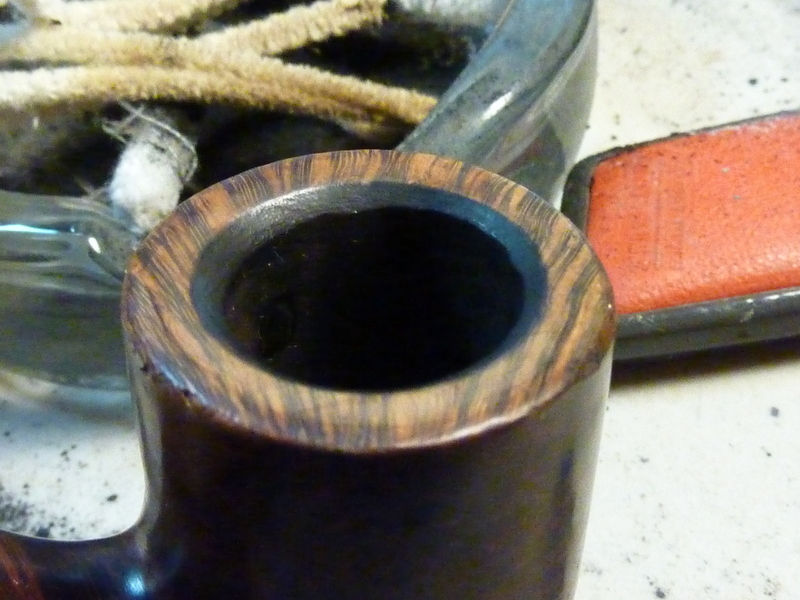 After the first round with tripoli, I was disappointed—I could still see brown haze, which is especially difficult for some reason to remove at the tenon end of the stem. So I went back for another round, with better results, but still not up to standard. I decided to see if white diamond would help, and it did the trick. But honestly, aside from saving my hands and back the work of going through all the Micromesh pads, I don’t think I ended up saving any time and I’ll probably save the Soft Scrub for milder cases in the future. 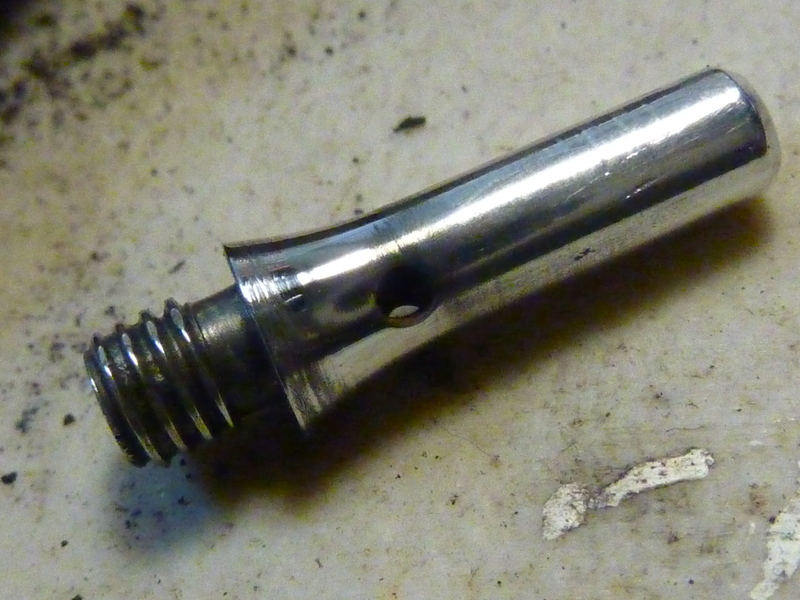 While marinating the mouthpiece, I tackled bowl restoration. 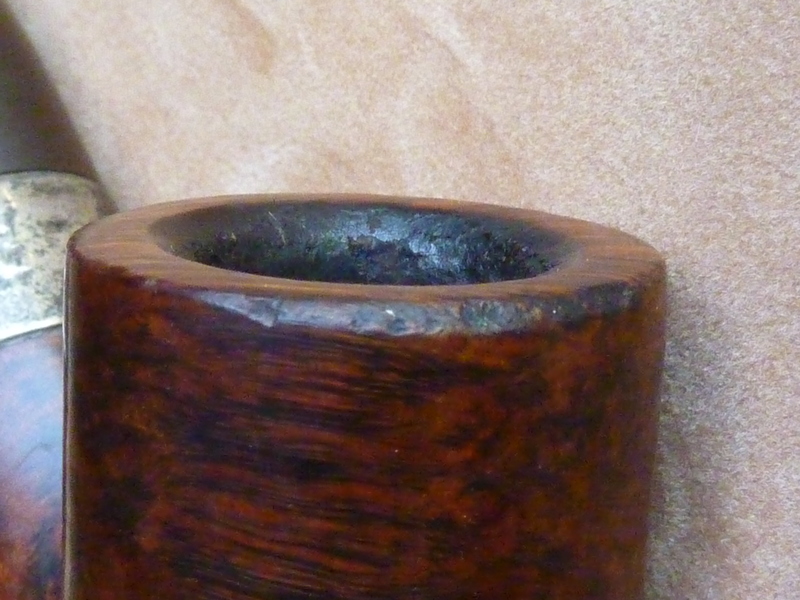 First I cleaned the inner bevel of the bowl rim, using Murphy’s Oil Soap and cotton pads. I could be mistaken, but it looks like the inner bevel was stained with the black undercoat, something which seems to be borne out in photographs of other Centenary pipes. After that, a good wipe-down to clean of the outer bowl surface with 91% isopropyl. I don’t want to lose the original stain color if I can help it, so submerging the bowl in alcohol is out of the question. Next I turned my attention to the stem, first passing my lighter over the mouthpiece to raise as much of the dental chatter as possible. I lingered over the top of the button and overdid it a bit, but it came out with Micromesh. You can see where the lighter-flame raised the chatter in the brown spots. I used painter’s tape and taped off the end, then went through the spectrum of Micromesh pads in quick order. Peterson P-Lip buttons seem extremely difficult to clean well—at least, for me.I’d love to have some advice on how to get down into the cracks and negotiate the curves of the top and button of the lip. After the buffing, I topped it with Obsidian Oil. I’d give it at 95% on the Obsidian scale, with some minor under-haze at the button lines. 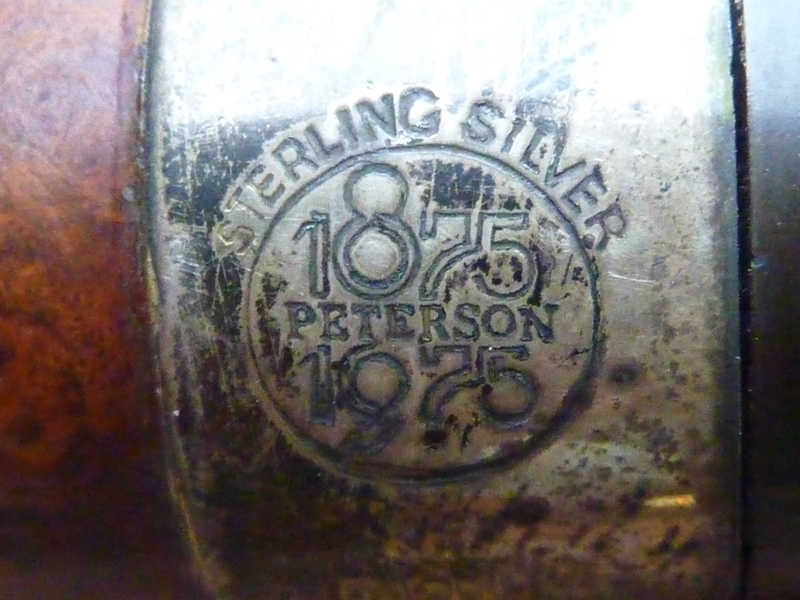 Next came the sterling band, another distinctively Peterson issue. You can get fantastic, quick results if you just put it on the buffing wheel with some tripoli or white diamond. That is, if you don’t care about the hallmark or any decorative stamping, which will vanish . I’ve learned this the hard way: it’s best to go about cleaning your Peterson sterling in the least invasive way possible. 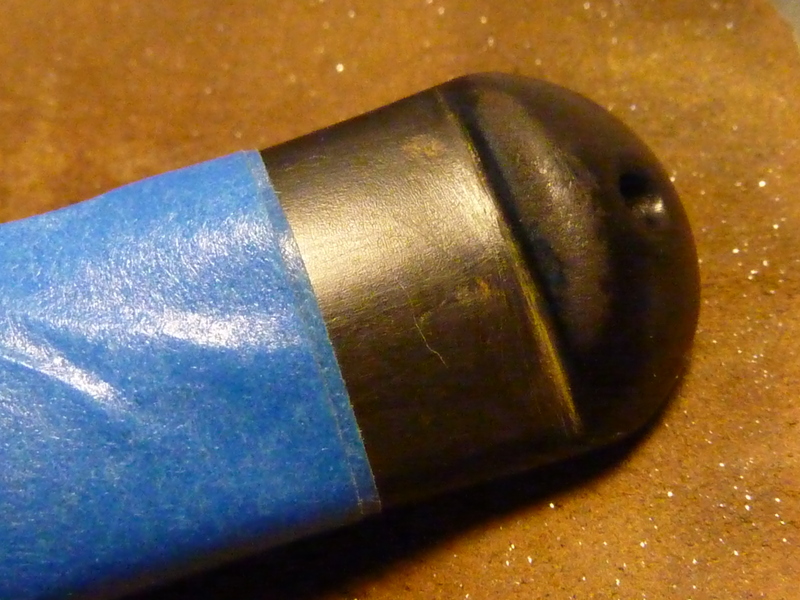 First, remember to tape off the band to keep your buffing compound from hitting the briar. 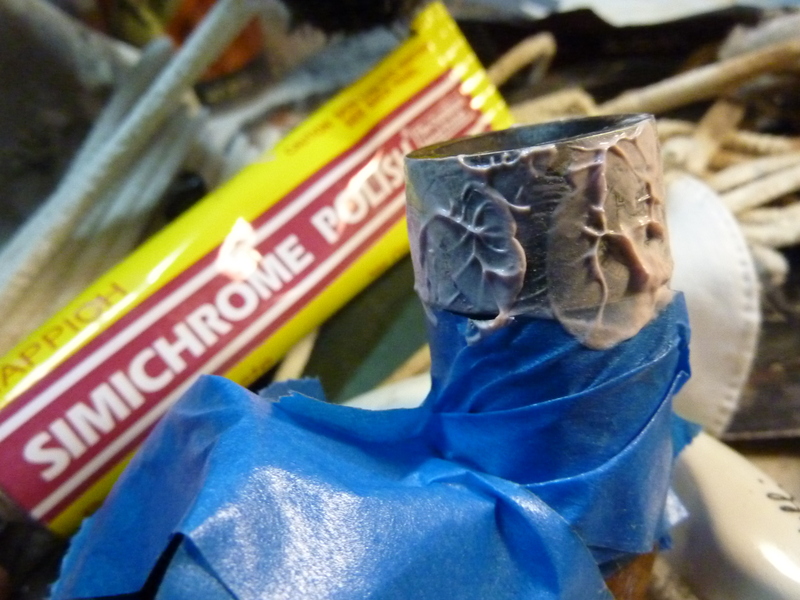 I began with Simichrome, and left it to soak a bit while I worked the mouthpiece on the buffing wheel. After the Simichrome, I use white diamond on the unstamped silver, and Fabulustre on the stamped. You probably know about Fabulustre, a jeweler’s compound I learned about from Mike at Briar Blues. It’s finer than white diamond, and is made for sterling and gold jewelry. You can’t get out deeper scratches with it, but it’s perfect for safely going over hallmarks and stamping. So on to finishing the bowl exterior. I took out a few minor scuffs and scratches with Micromesh pads on the lower sides, and noticing the Murphy’s soap lightened the rim a bit, decided to go with another trick I’ve learned from one of the gents I mentioned earlier: I rubbed olive oil into the bowl with my thumb, then massaged it out with a microfiber cloth. This brought a matt glow to the wood and brought back the original color of the stain. I followed it with carnuba wax on the buffing wheel. The combination of olive oil and carnuba takes down the gloss of the wax just enough. Taking another sniff of the bowl, I still couldn’t detect any ghosting, just that wonderful old-pipe bowl smell, so I decided to skip the salt solution and take it for a test run with some Marlin Flake. The nose doesn’t always know, but in this case, it was correct—a great first smoke! More about the 1975 Centenary, the Centenary pipes and how to care for this special cross-breed of a System and a Classic Range in the book. For now – happy piping! What a beauty! Now I have another to add to my holy grail list! If you do put it on your list, Marc, wait until you find one with the gold certificate, leather glove & commemorative box. They’re ultra-cool. I’ve seen photographs, of course, and my writing partner has sold several of them. Neither one of mine have “papers” — I wonder if that means they’re mongrels? Provenance is something that might become important to the next generation of pipe companioners. Book? Any estimated release date? I’m getting back the last edits the publisher will do before he sees it in layout & design, and he’s up to ch. 12 of 16 (+3 appendices). I’m up to ch. 4, but I’m also working on adding and captioning. He called it “an exhaustive treatment” of the subject — mostly a compliment, I think. I won’t reach my goal of having all the editing and layout/design work done by the end of the month. But ” ’twas ever thus” on this project, I’m afraid. Really enjoyed this article Mark and Steve. Thanks for adding all of the photos and multitude of steps in the restoration. Having a career in mold making I was surprised to see that anyone else knew about fabulustre. lol as I’ve used that in polishing molds for many decades. The info on the tenon extension was something I hadn’t realized before. All of these little differences make the history and manufacture of Peterson’s so much more interesting. My only disappointment is not seeing a limited serial number stamp on the pipe. Do you know how many shapes were included in the Centenary Series?? 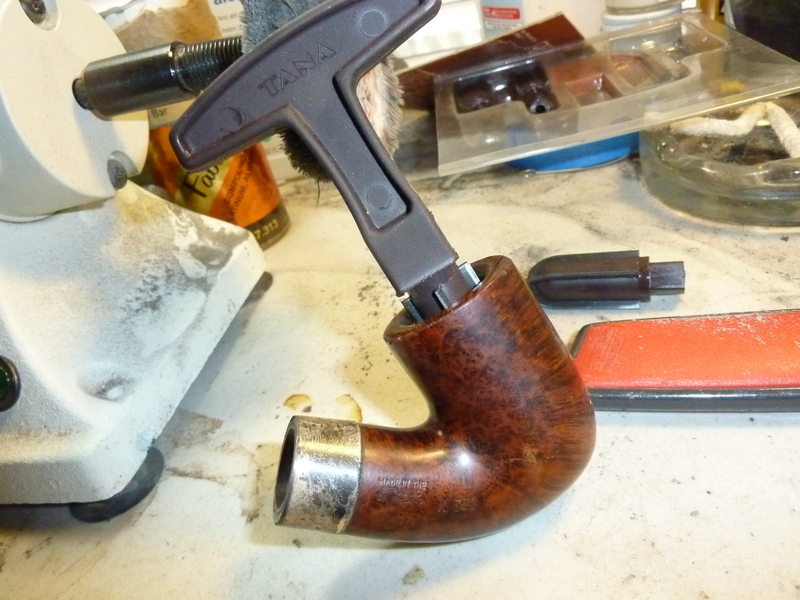 Wonderful article and so glad that you just did a restoration and not top or bevel the bowl chamber, authenticity is of utmost importance IMO…Cheers. 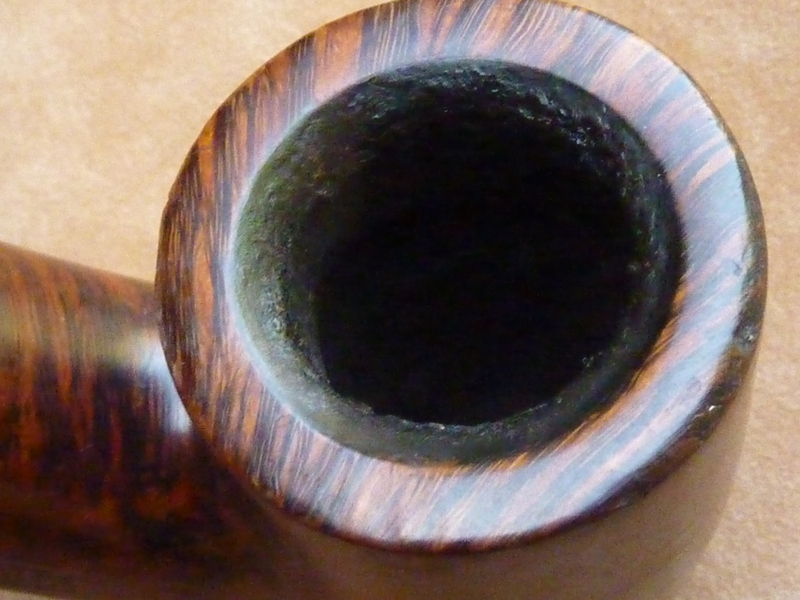 An amazing shape and pipe – you chose well on the restoration path. I’ll always default to leaving some patina vs. eliminating nomenclature or a feature. That patina was no doubt earned! hi, very nice work. 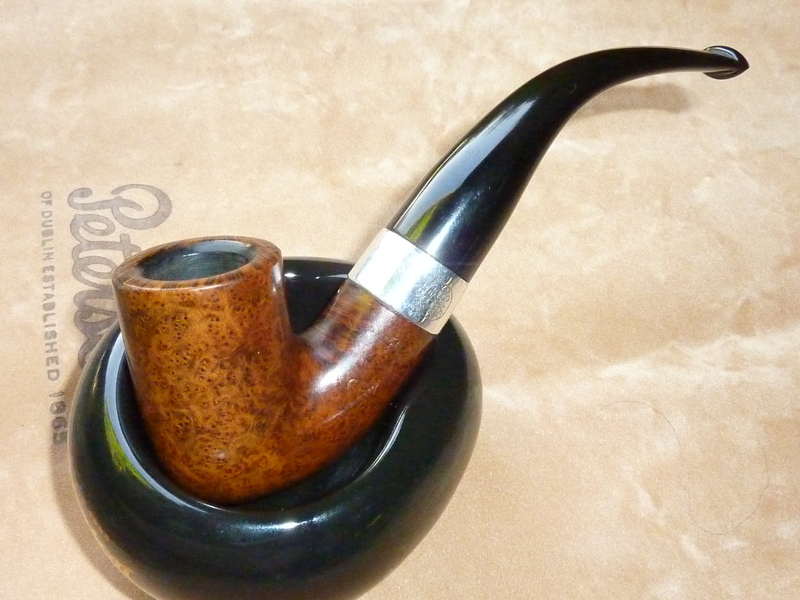 I bought an old deluxe 4s pipe but it don’t have the metallic screwed filter and i don’t know where i could find one… if somewone have an idee to help me…??? Thanks! You can email Peterson directly and request one. 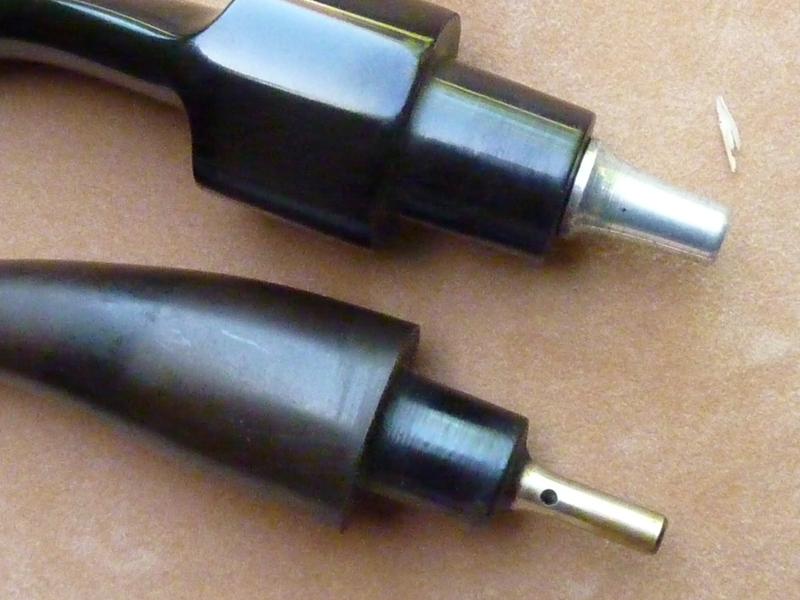 Tell them you need the aluminum tenon extension for your DeLuxe System. If you are or plan on being a De Luxe System estate user, you might ask for a half-dozen, as these are often missing from estate pipes. 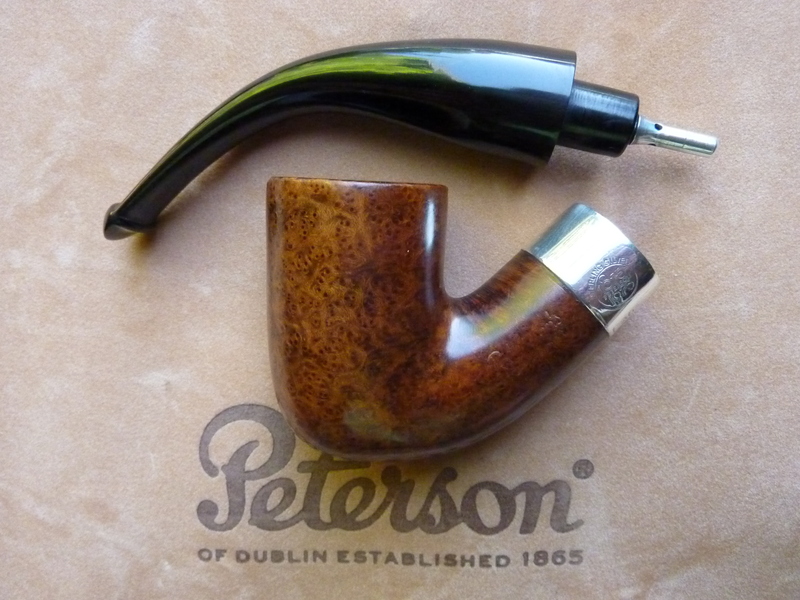 Since the late 1970s, Peterson has neglected to educate its clients on why this piece makes the pipe smoke better.